For their debut set at Servant Jazz Quarters, vinyl junkies Mr Boogie and Dr Pudding will serve up a mishmash of jazzy, funky, soulful, disco, afro and tropical grooves...with a drop of house thrown in for good measure. 1958 in Blackheath, South East London. ... regularly in many of the pubs in South East London and the East End Docks. Banjo, Mandolin and Melodica as well as rich four-part harmonies and a thumping beat from the Cajon! Kiefer’s soulful beat music has won fans at Pitchfork, Bandcamp and the BBC, as well as hip... made beats with Kaytranada, and played with Terrace Martin, Moses Sumney, among others. Cafe after their sell out show last spring. 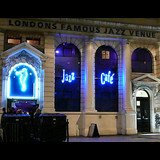 ... door to a small basement club in London’s west end where local musicians could jam. 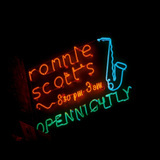 Today, it is one of... music and Ronnie Scott’s welcoming, stylish setting is also home to London’s coolest late night hang.